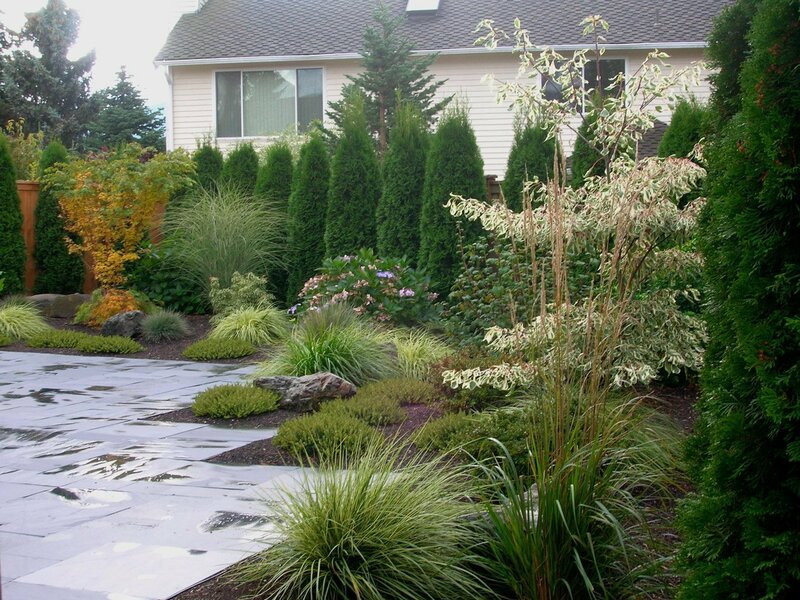 This yard had grass, but not much else—and the owners wanted to make it more usable and inviting. 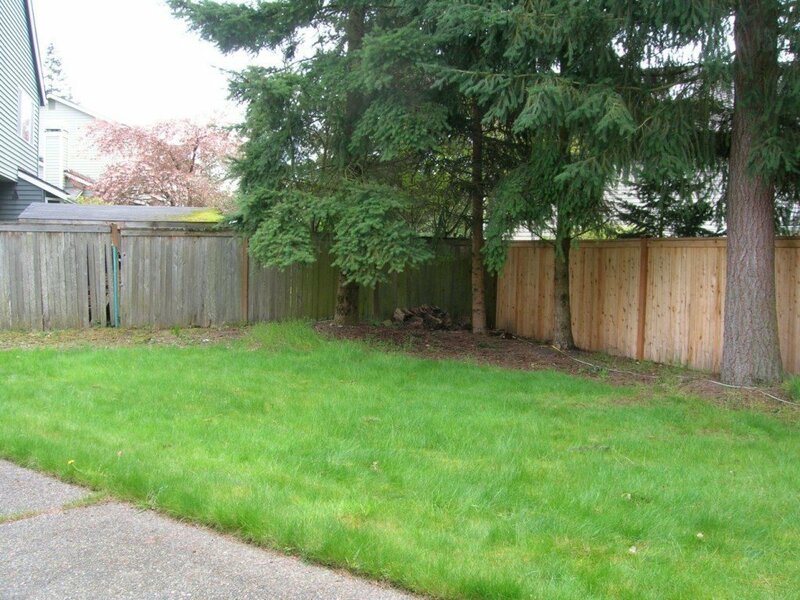 Goodbye, lawn! We removed it in favor of a slate patio and raised deck, providing more room to relax and entertain. 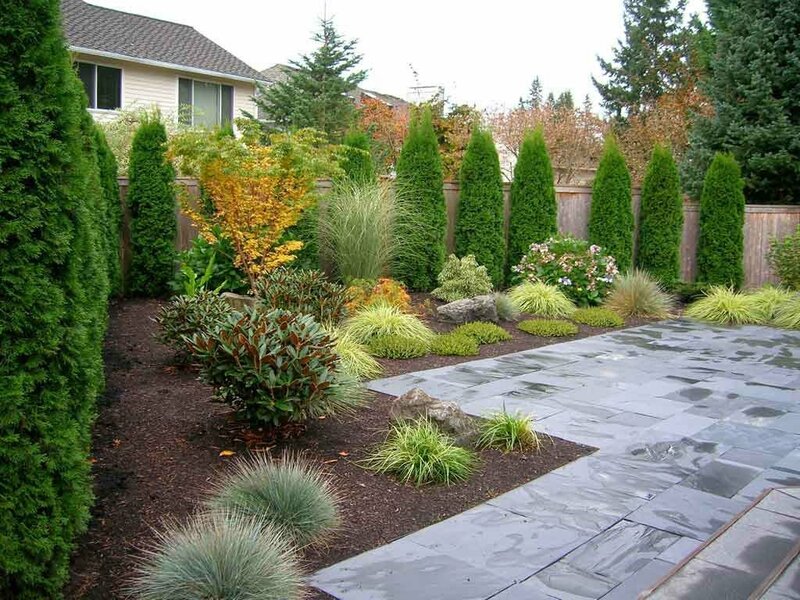 There’s still plenty of green, though, thanks to lush privacy hedges and a variety of low-maintenance shrubs, grasses and groundcovers that add visual interest all year long. Everyone enjoys this garden, including hummingbirds and butterflies!